Roomy Victorian, built c. 1867, on 40-acre woodland estate. With a 1/3 of a mile of shoreline, tidal pools, miles of paths and trails, an apple orchard, there is plenty to explore. You can play on the clay tennis court, swim from the rocky shore below or walk to public beaches. 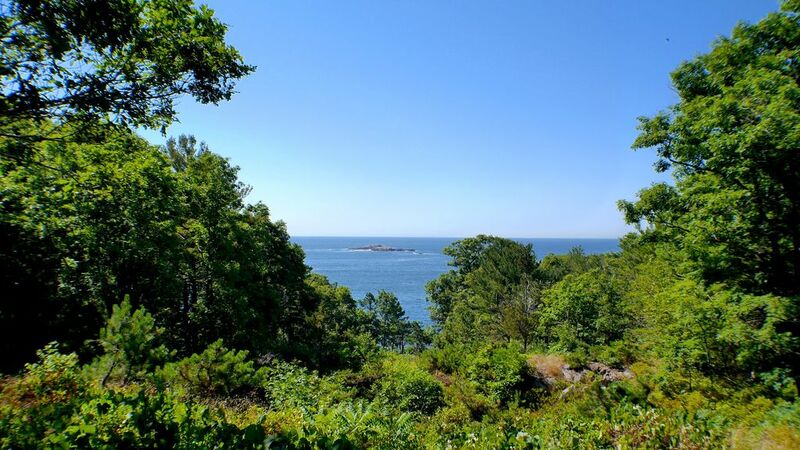 Located 2 miles outside of downtown Manchester-by-the-Sea and just 30 miles north of Boston it is easily accessible by water, train and highway. Even though it is called "The Cottage," it has 6 bedrooms, 5 baths, living room, dining room, eat-in kitchen, large porch across the front of the house overlooking the ocean. This is a great home to kick off your shoes and relax! We rent Friday to Friday during the Summer season and then rent this home as a 9 month Winter rental. Two single kayaks and one double kayak! And two stand-up paddle boards. Big ocean-facing porch complete with dining table, chairs, couch and swinging bench! Located on the 40-acre estate, 5-10 minute walk! Museums and Antiquing to name just a few. Our rental period is Friday to Friday.